You may want to have a more secured access to your directory. 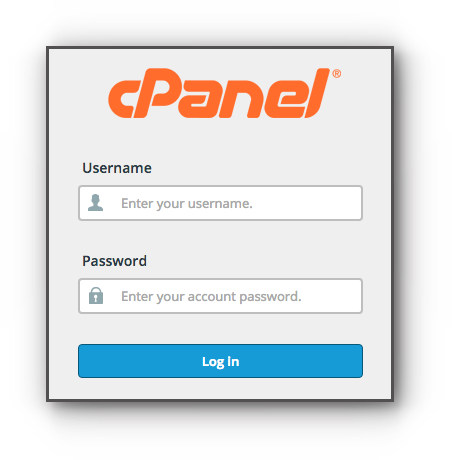 This can be done by creating a password protect directory in cPanel. Please follow the instructions below. 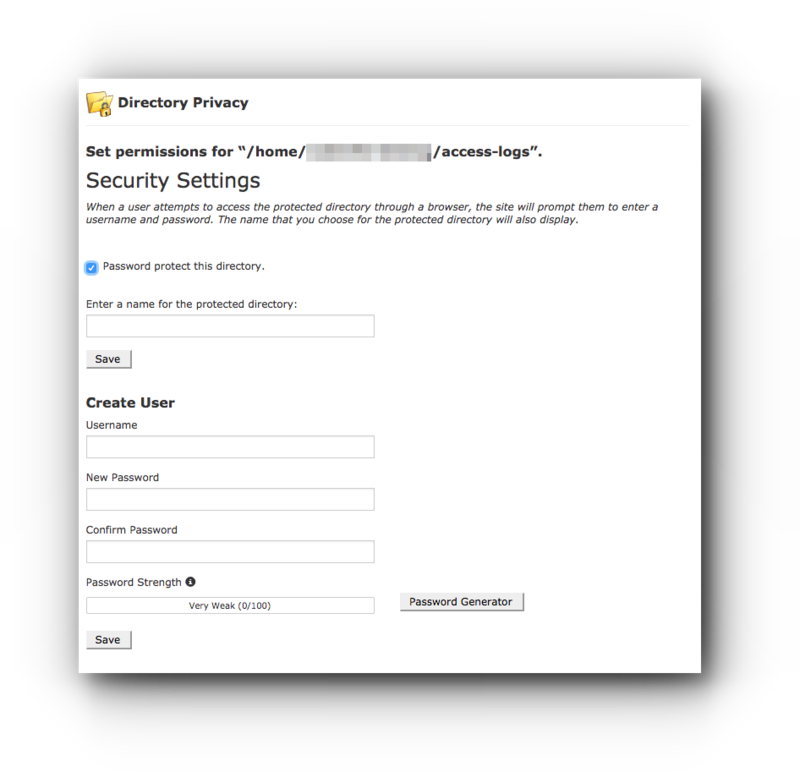 Find the icon under the “Security” section and click on the “Password Protect Directories” icon. Select the directory you’d like to navigate to in the pop up window. Now, select the directory you wish to password protect. Clicking a folder name will password protect that folder. If you want to password protect a subfolder, click on the folder icon next to it’s name, then select your appropriate folder. 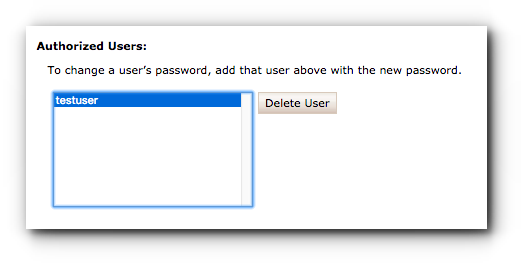 Once you have selected a folder to password protect a screen will appear with settings you’ll need to configure. When finished, “Save” the settings and then “Add/modify authorized user”. Now, when you visit the site in your web browser you’ll be prompted with a login screen for that directory. Step 3. 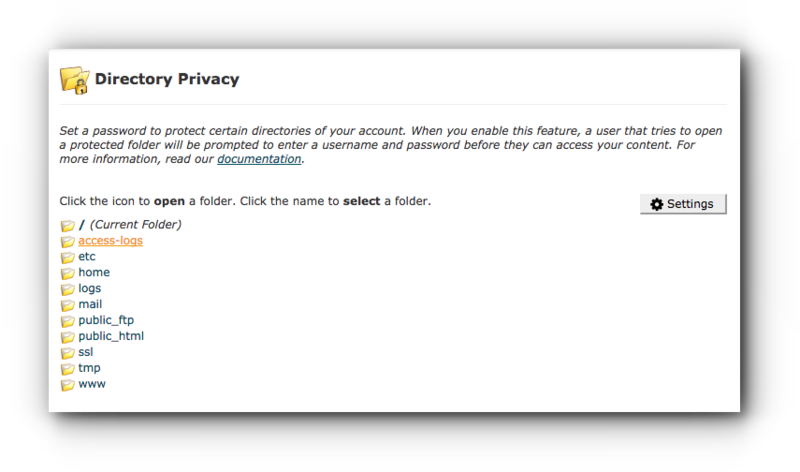 Select which directory you want to put the privacy. Step 5. Click Save button. Step 1. Click Directory Privacy under Files panel. 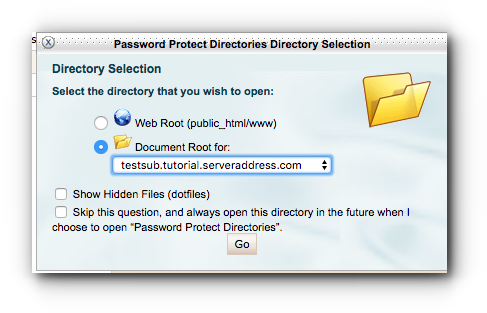 Click Password Protect Directories under Security Panel for VPS and above hosting packages. Select the domain name that has the privacy. Step 2. Click the folder that is protected. Step 2. Click on the username and click Delete User button. Step 3. The user is now deleted. Go back to the previous page. Step 4. Under Security Settings, make sure that the Password protect this directory is unchecked. Click Save button. Step 5. The permission has been modified and the directory will be accessible without the username and password.